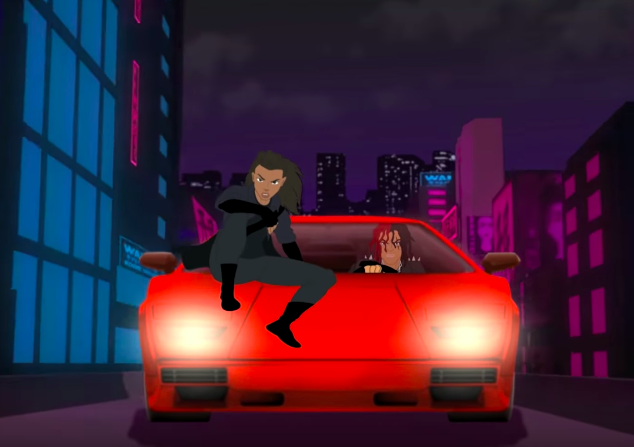 Kodie Shane’s sequel with Trippie Redd to their Love & Drugz record was greeted with a warm reception last month that also included a heartfelt message to her fans in Dear You…a msg from Kodie Shane and now, we have been given the brand new animation for the song. Directed by Child with animated direction from Jered Harrison, the duo of Kodie & Trippie can be seen roaming the streets in a convertible before running up on a demon-like figure and later finding themselves in what looks like a secret laboratory. Ultimately, this 3-minute cut is a whole movie and if you’re not buying it, see for yourself below and stay tuned for more from Kodie Shane and her counterpart Trippie Redd very soon!